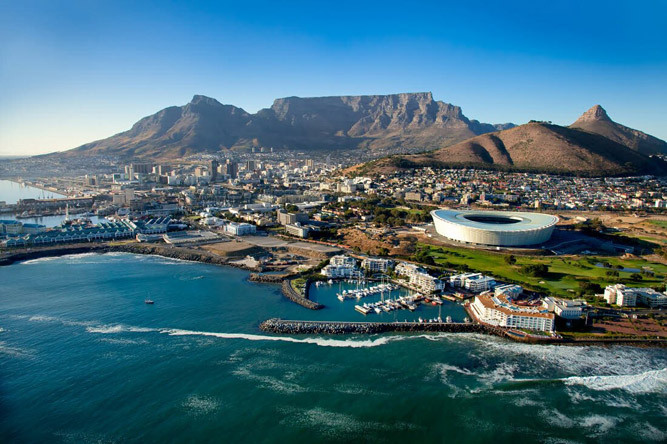 The large city of Cape Town was the whole reason for my multi flight detour. This was the journey that I had been looking forward to. After flying at high altitudes for days I was expecting there to be a pretty impressive drop on my way to the coast line. I was not disappointed. Flying above the splatter of clouds below the ground seemed further away than it had done for a while so I reduced the throttle and adjusted the trim of the aircraft to slowly descend across half an hour or more. It wasn’t until I was pretty close to Cape Town when the ground suddenly seemed to give way and fell away from the aircraft once again. Seeing such steep drops in such a huge scale did certainly make me wish I could see them first hand. Although I rarely suffer from vertigo I am pretty confident I would have trouble staying on my feet with those views before me. 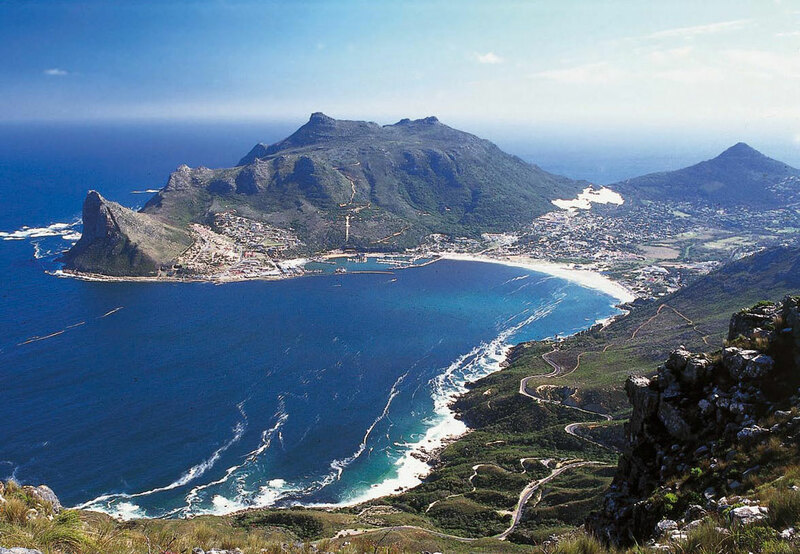 Seeing the ocean again was a refreshing sight but more spectacular was the curving beaches and impressive mountains around the city of Cape Town. I took the plane lower to take a closer look but was soon surrounded by heavy fog. This made locating the airport rather difficult but once again the GPS pointed me in the right direction. The airport was fairly busy with larger jet liners and the occasional lighter aircraft. 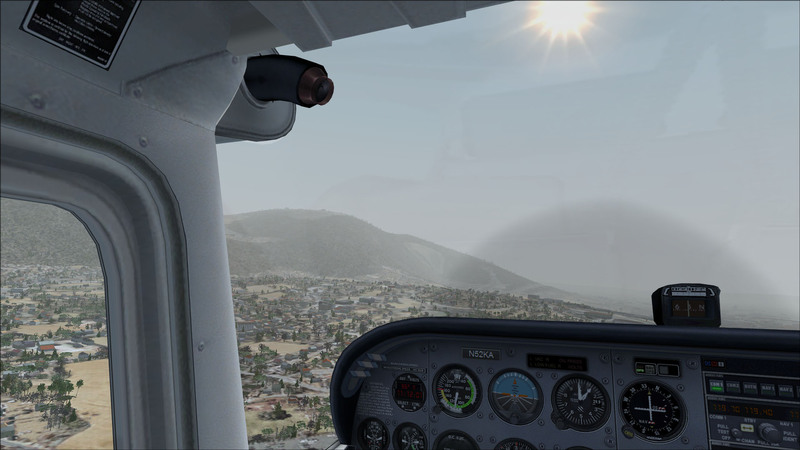 I discovered that the airport was busy most of the time when on another day I took a Cessna 172 up into the skies to take a better look around the city and the infamous “Table Mountain.” The fog wasn’t as dense but still hung over the city. 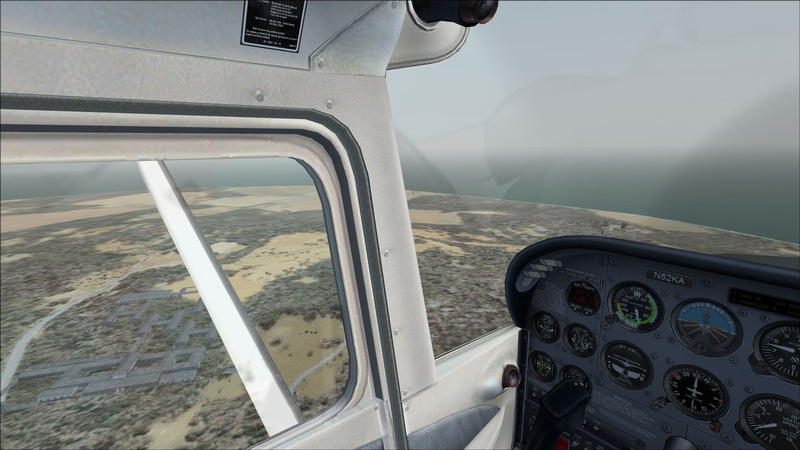 I flew a complete lap of Cape Town and dived between some of the other peaks and out over the shore lines. I managed to jump the short stretch of water to an island off the coast. Seeing some buildings on the island I knew this must have been the prison in which held Nelson Mandela as number 46664. I later learnt that this island is called Robben Island. Robben Island & Prison From the air.